Roof Restoration vs. Roof Replacement: Which Is the Best Option? When you operate a business in Brampton ON or someplace else, oftentimes you are under pressure to make quick decisions. You know you need to deal with a lot of things that are integral to the long-term success of your company. Sometimes you have to admit that you make mistakes because you’re constantly in a hurry. Because roofs are the last thing that business owners tend to think of, decisions related to them tend to be taken for granted. Here’s a typical scenario: If your commercial roof gets old, leaks when it rains, and looks worn out, what do you do? Most likely, you’ll be considering a roof replacement. But since a replacement is a capital expense, you’re going to postpone it for now. Yes, replacing your roof with a new one is a major investment but it is not your sole option. Fortunately, advancements in the roofing industry have paved way for sustainable solutions. One of these solutions which we will discuss today is a roof restoration. Is it a better option than a replacement? A roof restoration is what you think it is. As an alternative to a roof replacement, it is a process where your roof is “restored” by a roofing restoration provider through cleaning, repairs, and installing a better roofing material over the damaged material. As a result, your roof achieves an overall cleaner, brand new appearance. Restorations are the total opposite of a replacement where your entire roof is stripped off. Needless to say, replacing your roof is very expensive. Not only that, it will disrupt your tenants and business activities. This is one of the reasons why store owners and apartment building owners put off such work. Depending on the size of your roof and complexity of the job, the time it will take for a replacement to be completed can last from days to a month. Most replacement jobs take around 2 weeks. 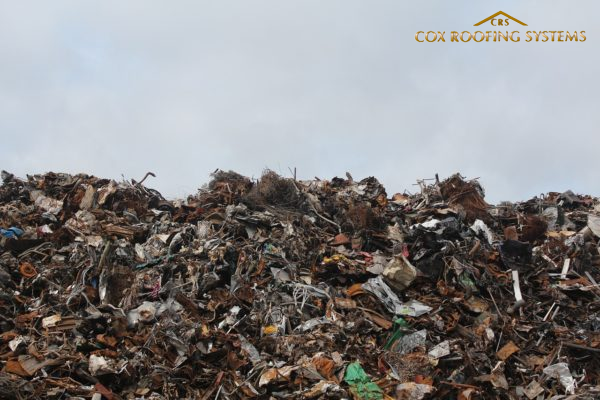 With regards to the environment, roof tear-offs contribute to more roofing waste. It’s not an environmentally-friendly choice. But don’t get us wrong; there are cases when roofs do not qualify for a restoration. 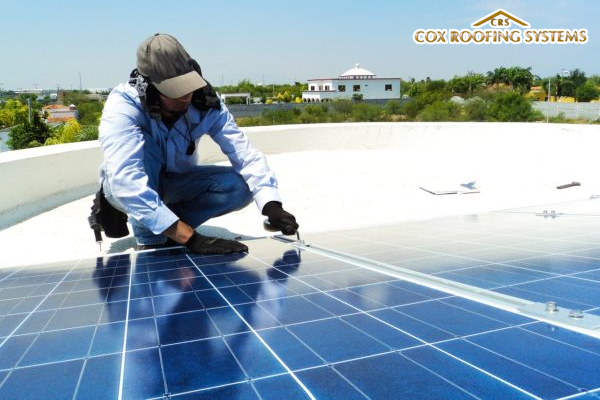 A roofing restoration provider such as Cox Roofing Systems will first inspect your roof. Your contractor will use equipment to locate problems and evaluate whether they can still be resolved. Multiple damages usually call for a complete replacement. That said, it’s important to seek the professional, honest advice of a qualified contractor before undergoing roofing work. But don’t get us wrong; there are cases when roofs do not qualify for a restoration. 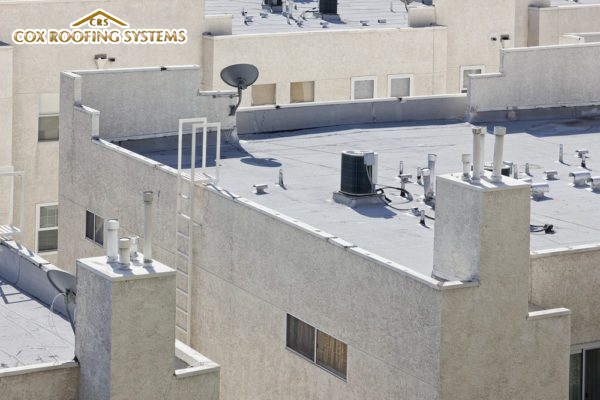 A roofing restoration provider such as Cox Roofing Systems will first inspect your roof. Your contractor will use equipment to locate problems and evaluate whether they can still be resolved. Multiple damages usually call for a complete replacement. What makes roof restoration services better than a total roof replacement? Thinking about hiring a roofing restoration provider today? Or do you still doubt the benefits of roof restoration in Brampton ON? Below are five important points to consider. 1. Keeps the elements out. Roofs that are old and worn-out make buildings susceptible to water infiltration, ice formation, heat loss due to punctures, and other external elements. When you have your roof restored, a roofing restoration provider will deal with existing leaks and then cover your entire roof with a durable material that protects it from the heat of the sun, rain, hail, snow, and strong winds. In this case, our Cox Roofing Systems team will utilize the Tri-Thermal Roofing material. This is a combination of EPDM (flat rubber roof) and spray polyurethane foam. These two roofing materials adhered together will form a durable, watertight, and energy-efficient seal to protect your building for many years. In case you didn’t know, TTR installation as part of our roof restoration services can even be installed in severe climates. We have mentioned earlier that roof restoration services do not involve removal of the entire existing roofing material. Yes, some unnecessary parts may be removed such as loose gravel and excess debris. Then a much better material is placed above it to seal off the old roof. One of our clients was satisfied with the spray foam insulation we installed while retaining their existing insulation. The addition of this commercial restoration material helped them lower their heating and cooling expenses. 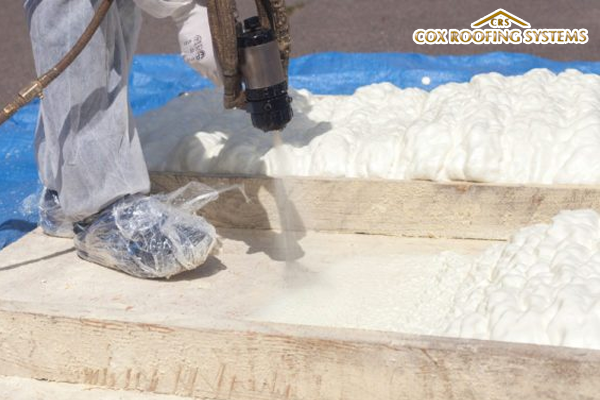 Explore more advantages of spray foam insulation. Some building owners may express their concern about additional weight on their roof. They do not need to worry at all. 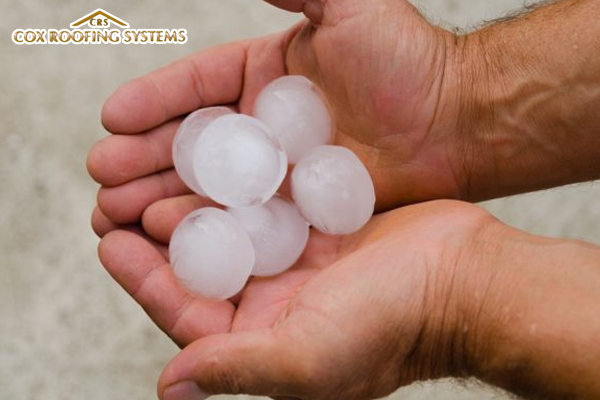 Your roofing restoration provider will make sure to remove unnecessary weight. Because roof restoration in Brampton ON retains most of your roofing material, you can expect the job to be completed in less time. Again, contractors can complete roof tear-offs up to several weeks. 3. A truly sustainable solution. What makes a roof sustainable? Think of sustainability in the roofing industry as a quality where roofs contribute to a better planet. This means that a roof saves energy and minimizes air pollution by reducing heat islands. Roof restoration services allow building owners to install solar panels and vegetation on their roofs. Tri-Thermal roofing is one material that makes this a reality. Since the TTR is both durable and lightweight, it is possible to have these environmentally-friendly roofing solutions in place. Now, these solar panels help lower your electricity costs from day one. At the same, they reduce your carbon footprint. On the other hand, rooftop gardens add more shade to your roof. This further cools down the temperature inside your building, leading to savings in heating and cooling. Failing roofs have unexpected dangers. 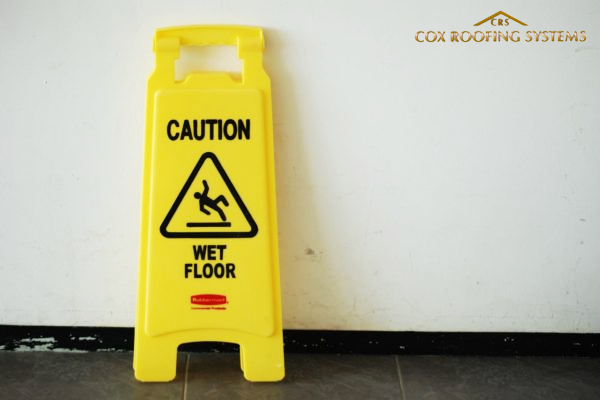 Employees or tenants inside your building are at risk for slip, fall, and electrocution accidents when your roof leaks. Moisture also attracts pests and causes wood material to rot. Mold impacts everyone’s health and well-being. Each passing day you choose not to participate in roofing care through roof restoration services increases the risk for catastrophes to occur. Again, not all buildings qualify for a roof restoration in Brampton ON. Because roofs that are too damaged are better off replaced, it is best to attend to roofing issues early on. Prompt attention will also reduce the incidence of unwanted accidents. If you notice that something about your roof is wrong, especially if it is nearing the end of its life cycle, talk to a roofing restoration provider immediately. They are the best people who can determine whether you need a simple repair, replacement, or roof restoration services. 5. Significantly increases your savings. Let’s get back to one of the reasons why building owners delay roof replacements: They’re expensive. But then again, this will no longer be your only option now that you have discovered roof restoration. Instead of tearing off your entire roof, fixing parts of it, removing extra weight, and covering it with a new material cost less. Aside from being a budget-friendly choice, it is also quicker and non-disruptive. Now your business can benefit from a higher ROI. Your roof will last longer, be free from problems, and you don’t need to close your store for days to accommodate a roof restoration. Seek the opinion of a company that will suggest whether you need roof restoration services or not. Here are a few important tips on how to choose a roofing restoration provider. Create a list of companies in your area. Research local roofing contractors online or simply ask your family, neighbors, and friends. They might recommend a provider they worked with previously. Know how long a company has been in business. Put your trust in a roofing company that served the industry for many years. A minimum of 5 years is a good sign. You can be sure that they will do your roof restoration right. Get a detailed quote. When you get a free quote from a roofing restoration provider, it should outline as many details as possible. A quote should contain information such as the size of your roof, materials to be used, time of completion, etc. Before you finalize your deal with a provider, make sure that you know what you are getting. In many ways, roof restoration services are better than tear-offs and replacements. They can prolong your commercial or industrial roof’s life, boost its appeal, protect your employees, reduce your expenses, and help the environment. And while roofing contractors perform the restoration process, your business won’t be bothered at all. Maybe you don’t get the chance to really think about your roof each day. This is a normal thing for building owners who would rather deal with the things that are right in front of them. But know that when you give your roof the attention it deserves, you’ll reap many benefits that impact your business in the long run. Attention doesn’t always mean an immediate replacement. 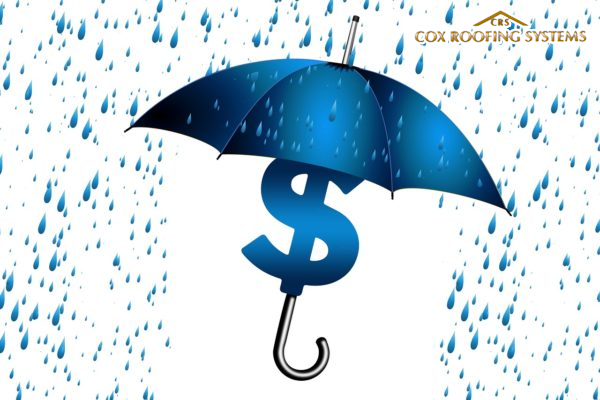 Speak with one of Cox Roofing’s specialists today and save your roof from potential failure through a roofing restoration.